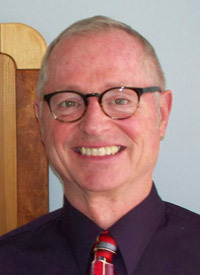 Dr Randal Arnold graduated from Palmer College of Chiropractic June of 1982. His wife Mary had issues with her menstrual cycle and was advised that he take her to the Palmer public clinic for evaluation. After observing the results, he decided to pursue chiropractic in order to deliver this type of care to others. He has a passion for teaching the power of Chiropractic to anyone who will listen.He truly believes that any condition may respond to chiropractic given time and patience. “If you haven’t tried chiropractic, you haven’t tried everything.” He opened his practice in Sturgeon Bay in January of 1985. Dr. Arnold is dedicated to delivering the best care possible and practices using the Gonstead method of evaluation and adjusting. He has had 600 hours of training in the Gonstead system. This is a hands-on technique which is specific and effective in any and all conditions. He is currently a member of the Chiropractic Society of Wisconsin, Christian Chiropractic Association and the Gonstead Seminar of Chiropractic. He is state certified in Nutritional Counseling. He is a strong believer in Standard Process wholefood nutritional supplements that are available in the office. Dr. Randal has 2 daughters, 2 sons and 7 grand children. He enjoys spending time with his lovely wife Mary, children and grandchildren. He also spends time in the outdoors camping, bicycling, walking, down-hill and cross county skiing and playing guitar and percussion. He and his wife are members of Sturgeon Bay Community Church.